Bristol Rovers vs Charlton predictions for Saturday’s League One fixture at Memorial Stadium. After a much-needed win on Tuesday evening, the hosts will be looking to take another step in the right direction. There’s been clear improvement at Memorial Stadium since Graham Coughlan took the reins, though Bristol Rovers still find themselves dangerously near the drop, which is why Tuesday’s win away at Gillingham was massive. After beating the Gills, Rovers have climbed to 16th place and are now three points above the bottom four. Their safety is far from secured, though the Pirates have given themselves an excellent chance of staying up. Bristol Rovers now return home after two hard-fought wins on their travels. In each of their last two matches, Graham Coughlan’s men have shown everything that is required to stay in the division; they’ve been tough to beat, have battled hard and have come up with the goods offensively when it mattered most. After two wins and two clean sheets, the Pirates go into Saturday’s home game against Charlton feeling confident. 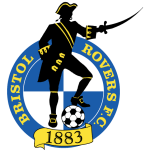 Performances at home have been up and down as far as Bristol Rovers are concerned, though their most recent effort at this venue was a very good one. A fortnight ago, Rovers demolished Blackpool by four goals to nil, as they delivered a very good counter-attacking performance, creating 2.43 expected goals in the process. Their attacking efforts on that occasion bode well ahead of a game against a Charlton side that will probably get forward on Saturday afternoon. That said, they did give more away than the score-line suggests against Blackpool, so much so that they were lucky to keep a clean sheet. 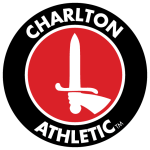 As for the visitors, well, Charlton also come into this fixture off the back of a good run; they beat Portsmouth at home on Saturday, while they got the better of Burton at The Valley on Tuesday evening. Lee Bowyer’s men are now unbeaten in six, though they have drawn three of those, so they’re not totally infallible. Saturday’s visitors have also kept just one clean sheet in their last seven. On the road, Charlton have been useful of late, as they’ve drawn away against Doncaster, a draw that came after the Addicks beat AFC Wimbledon at Kingsmeadow. However, they’ve struggled to be at their best defensively on their travels. Bowyer’s men have shipped at least once in eight of their last ten away matches, while they’ve given up an average of 1.53 expected goals on the road this season. From a betting point of view, ‘Both Teams to Score’ stands out at the prices. Bristol Rovers are far from the most menacing side in League One, but they’ve made a good habit of finding the net in recent times, scoring in each of their last eight. Similarly, Charlton have found it easy to get themselves on the score-sheet in recent times, as they’ve notched in all but one of their last seven. Add in the fact that Rovers are averaging 1.43 expected goals for at home, alongside the fact that the Addicks are averaging 1.44 on the road, and a bet on ‘Both Teams to Score’ catches the eye, especially at what appears to be a decent price. Bristol Rovers have averaged 1.43 expected goals for at home in League One this season. Charlton are currently averaging 1.44 expected goals for on their travels in League One. Both teams have found the net in seven of Charlton’s last ten away matches in the third division.